Our relationship with wolves has always been complicated. We alternate between almost exterminating them to giving them national protections. Grizzly bears and wolves. Other than bison, does America have any mammals more representative of our nation? Unfortunately for them, grizzly bears and wolves are predators, and that sets them apart from bison. It also sets them up to be on the receiving end of some of our most heinous laws and regulations. H. J. Res. 69 is one of them. 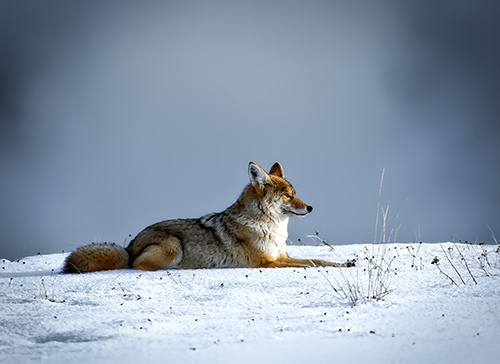 A recent, joint U.S. House and Senate resolution, 69 nullifies a ban on the use of certain “predator control” hunting methods on 76.8 million acres of federally protected preserves across Alaska. On April 3, 2017, the president signed it. Representative Don Young (R-AK) authored the bill. It allows grizzly bear baiting with food to get a point-blank kill; aerial hunting; spotlighting; live trapping with steel-jawed, leghold traps and wire snares; killing hibernating bears and “denning” (killing wolves, coyotes and their offspring in their dens) on or near federally protected lands. It seems that every time we get close to appreciating predators and the beneficial impacts they have on their natural habitats, we pull the rug out from under them. We can’t seem to allow nonhuman predators to live within our midst for long. H. J. Res. 69 allows killing coyotes and their offspring in their dens on or near federally protected lands. H. J. Res. 69 repeals restrictions that were enacted in 2016 by the U.S. Fish and Wildlife Service, after years of disputes between the federal government and the state of Alaska over the legality of such predator control practices. Now, jurisdiction over hunting these animals is back with the state. Representative Young characterized the U.S. Fish and Wildlife Service’s previous restrictions as a “power grab,” saying it was a “wrongful seizure of Alaska’s fish and wildlife management authority.” And that’s where the federal and state governments disagree: the federal government has argued that biodiversity should be the goal on refuges and in parks. The Alaska Board of Game believes the priority should be ensuring maximum animal populations—such as caribou, elk and moose—for hunting. That means decreasing their predators: bears and wolves. In the 2016 U.S. Fish and Wildlife Service restrictions, federal regulators stated that the Alaska Board of Game had gone too far in prioritizing the populations of prey species over predators and had effectively turned our national wildlife refuges in Alaska into game farms. Those who favor Res. 69 say that they stand for states’ rights. But why should states have a right to dictate what happens on our national lands? As divisive as Alaska’s stance on predators has been, the rest of the country’s relationship with wolves has been even more complicated. In 1995, the U.S. Fish and Wildlife Service reintroduced endangered gray wolves to Yellowstone National Park and central Idaho. They soon spread throughout the Northern Rockies. In 2011, Congress delisted wolves in Idaho, Montana and parts of Oregon, Utah and Washington after a series of lawsuits. 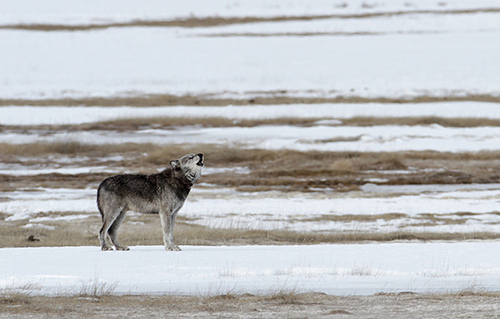 In Wyoming, wolves remained listed until 2012, when they came under state management. Conservation groups sued, and federal protection was restored in 2014. 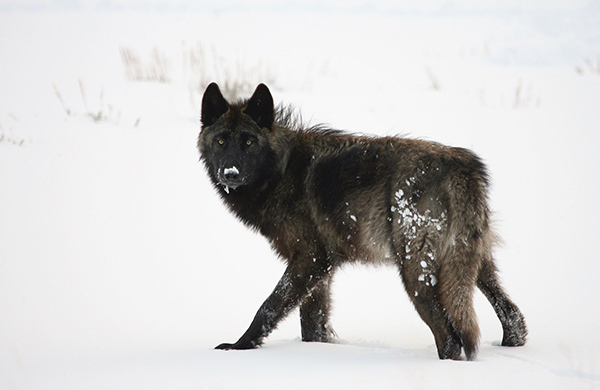 A recent ruling places Wyoming’s wolves under state management. That could make them vulnerable to being shot on sight there. But in a March 3, 2017, ruling, the D.C. Circuit Court of Appeals reversed that decision. Wyoming’s wolves will again be placed under state management. Wyoming plans to implement its 2012 plan, which allows wolves to be shot on sight across most of the state. A similar case in the Great Lakes states—Michigan, Minnesota and Wisconsin—is still pending. Some wolf advocates have pushed to keep the federal protections, saying that the states haven’t proved they can do an adequate job of protecting wolves. And, according to Collette Adkins, a senior attorney at the Center for Biological Diversity, wolf populations have not significantly recovered in some areas. Grizzly bears in the Lower 48 are faring no better than the wolves. Now, in Idaho, Montana and Wyoming, there is a movement to remove endangered species protection for grizzlies in the Greater Yellowstone Ecosystem. These supposedly “recovered” bears would be subject to a trophy-hunting season should they venture outside Grand Teton and Yellowstone National Parks. And venture, they do. 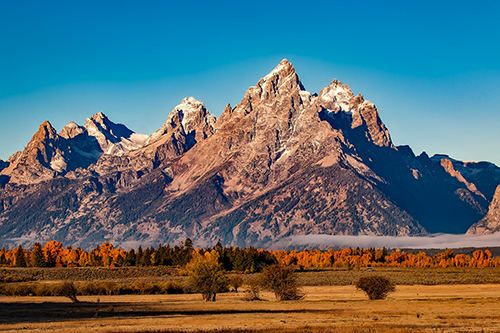 Removing federal protections for Greater Yellowstone grizzlies could subject them to trophy hunting if they wander outside national parks, such as Grand Teton. After 40 years of federal protection and intense conservation efforts, Yellowstone’s grizzlies may have only a little more than doubled in number, to perhaps 700, up from population estimates that ranged from 136 to 312 when the grizzly was declared endangered in the 1970s. About 1,800 grizzlies now survive in the U.S. outside Alaska, scattered in less than 1 percent of their historic range. 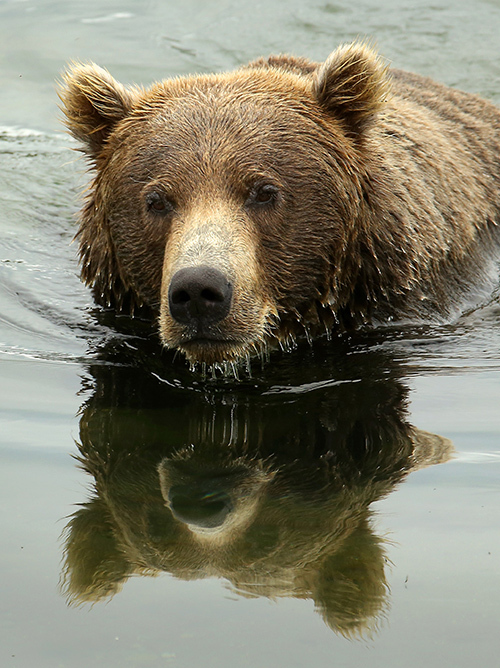 While this slow rebound is encouraging, Yellowstone’s bears still face a multitude of risks. In even the most remote, wildest parts of Idaho, Montana and Wyoming, food sources are vanishing. Pine nuts, the single most important food for female grizzlies with cubs, are disappearing. So is the whitebark pine, a victim of the bark beetle and climate change. Winter-killed bison are unavailable to mother bears with cubs, since they are claimed by larger males. Grizzlies also require wide swaths of roadless, wild country—another diminishing resource. These parcels need to be connected corridors so that the small, remnant grizzly populations in the contiguous U.S. and Canada can intermingle. The call to delist Yellowstone bears is mostly based on the size of the population and doesn’t take into account how many of the bears are females, how old they are or environmental threats. Other delisting proponents say that because bears are showing up where they haven’t been seen in years proves that they have outgrown the Greater Yellowstone Ecosystem. The real reason for the grizzlies’ spread is more likely that with their food and habitat decreasing, they are being forced to go into unfamiliar places—often closer to humans—where they end up getting killed. Delisting could be the first step toward trophy hunting. Mostly, the bigger bears will be prized. 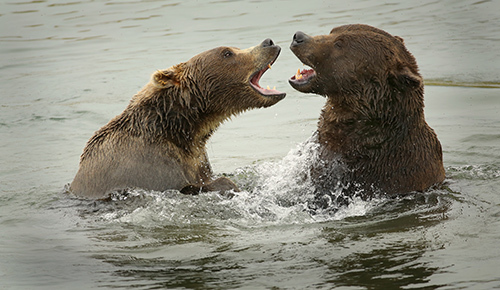 A younger population comprised mostly of subadults and cubs is more fragile; young bears disperse widely, leading to more negative, human-bear interactions. Should Yellowstone’s bear population fall precipitously after delisting, big game hunters and others say the federal government can always come back in and declare the bears endangered again. In reality, relisting takes a long time, sometimes decades, and it is highly politicized. The U.S. Fish and Wildlife Service usually won’t list a species as endangered unless ordered to do so by a court. In the meantime, more grizzly bears would die. Our national history with predators makes me glad we don’t have native tigers. Or snow leopards. Or spotted hyenas. We’d probably work really hard to get rid of them, too. Sitting here in South Africa, this is a TRAGIC story to read. The USA has always been my icon and “dream” towards their wilderness management, incredible national Parks [of which I have seen more than the average American], and dedicated and absolutely committed rangers [of whom I have met and worked with many]. May it come back one day to these individuals who are pursuing such self-centered actions and decisions.